Hello! 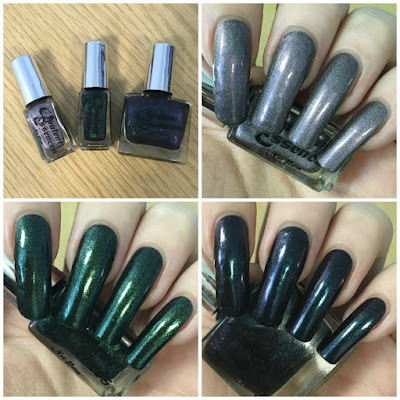 Today I have some Opulent Essences swatches to show you. It feels like it's been a while! 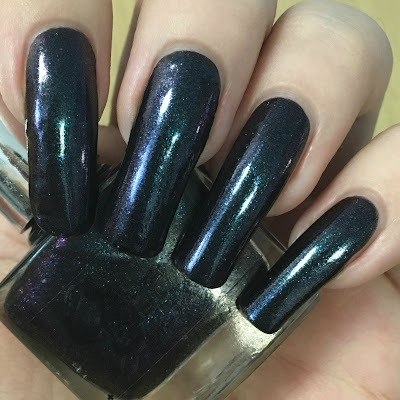 I was a little bit too excited when Sharon sent me some polishes last week, and they went straight to the top of my swatch pile. 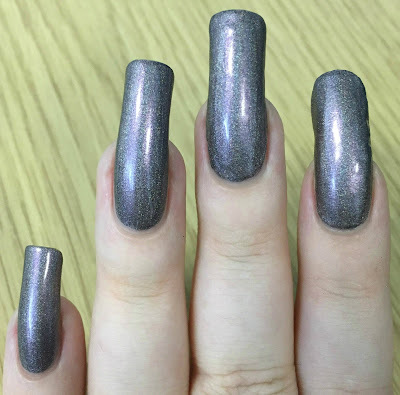 For this post I have three to share - one holographic and two shimmers. Read on for full swatches and more info! First up is 'Holo Heaven'. I find this hard to describe - it's sort of a mix between a grey and lilac holographic, with a strong pink flash. The formula was really smooth and easy to apply, and completely opaque in one coat! I did apply it slightly thicker to ensure full coverage but it wasn't necessary. Below is one coat and topcoat. The pink/purple flash doesn't photograph, making this seem darker. It's a lot lighter and softer in person. 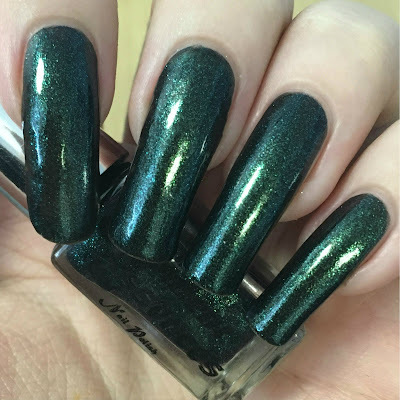 'Poison Ivy' is a dark base full of iridescent green shimmer. The shimmer in this is just beautiful. The formula is smooth and easy to use, although it does apply sheer and patchy on the first coat. A second coat built up surprisingly well, and it was easily opaque in three. Below is three coats and topcoat. 'Gravity' is a deep base full of blue to purple duochrome shimmer. Again this is really smooth and easy to apply. Like 'Poison Ivy' it does start off sheer, but is easily built up in three coats. I love how the depth and intensity of the shimmer increases with each coat. Below is three coats and topcoat. What do you think? These are beautiful. 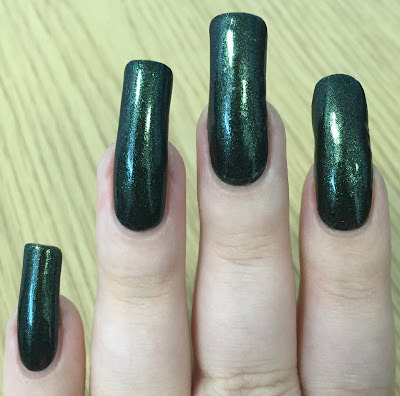 I'm really impressed with the two shimmers - those kind of polishes normally need a black base to help reach opacity, but both built up wonderfully on their own. My favourite this time is definitely 'Poison Ivy', I just can't get enough of that green! 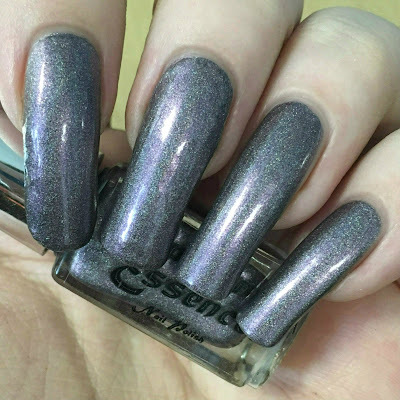 You can find all three polishes over at Opulent Essences' etsy store here (10ml full sizes for £6, and 5ml minis for £3). Make sure to also follow them on Instagram here for more swatches and regular updates. All three of these are so rich! I like Holo Heaven the best though! Ooh these are very pretty but I think Gravity is the nicest. 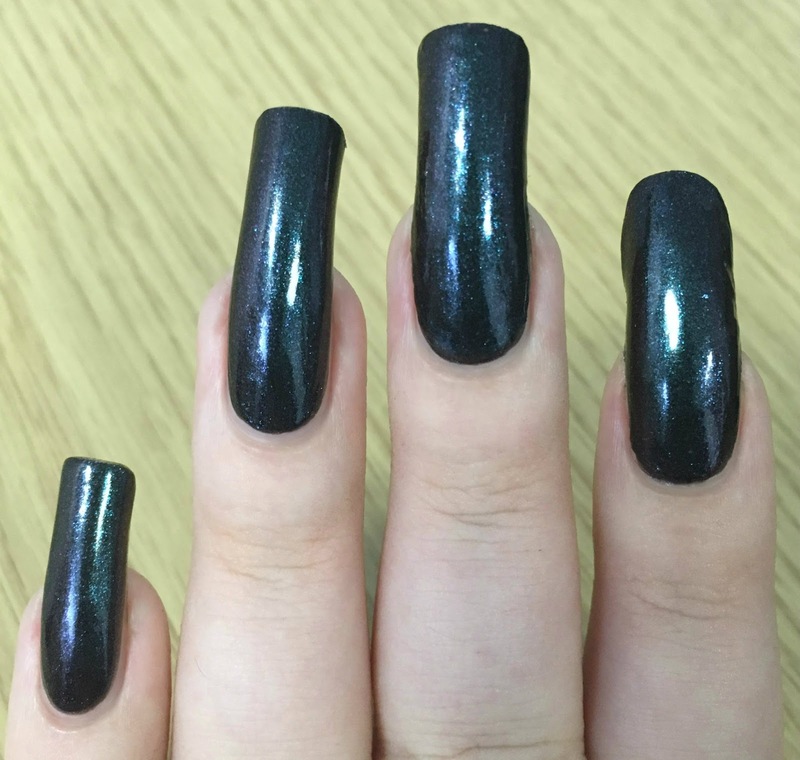 It looks amazing on your nails. wow..... Holo Heven looks so gorgeous on you. love your nail length, stunning swatches. For my personally Poison Ivy are the best looking nail polish colour, the others are to depro to my taste. But i must admit i envy your long nails!